By a happy coincidence I read two books this summer by Giller Prize shortlisted authors, Madeleine Thien and Zoe Whittall. I chose Dogs at the Perimeter to fill the letter ‘T’ position for my A-Z CanLit project. And the urge to read Zoe Whittall came out of reading Buried In Print’s review of The Best Kind of People. Being part of the Shadow Giller has since given me the chance to read their newest books, The Best Kind of People and Do Not Say We Have Nothing. Janie was a young girl when she lost her family to the horrors of the Khmer Rouge. She now lives in Canada, has a career in brain research, and a husband and son. But the disappearance of her mentor and friend, Hiroji, has triggered the return of her memories. Night after night I tried to bring back the ones I had left behind. In the mornings, when I opened my eyes, I saw only the bare walls. Everything, the good and the selfish, the loved and the feared, had taken refuge inside me. Thirty years later and still I remembered everything. The story moves back and forth in time between the present and the past. Through the use of letters and journal entries, it also moves between Janie’s life and Hiroji’s. Hiroji’s brother went missing when he was living in Cambodia during the time of the Khmer Rouge, and hasn’t been heard from since. Hiroji is searching for his brother while Janie is searching for herself. The Khmer Rouge had taught us how to survive, walking alone, carrying nothing in our hands. Belongings were slid away, then family and loved ones, and then finally our loyalties and ourselves. Worthless or precious, indifferent or loved, all of our treasures had been treated the same. The scenes in Cambodia and of the war reminds me of The Disappeared by Kim Echlin, while the escape and new life in Canada reminds me of Ru by Kim Thuy. I would recommend any of these three books for anyone interested in reading about the Cambodian Genocide, the Khmer Rouge, resettlement in Canada, or the influence of the past and our memories on who we are today. I remembered arriving in Canada, my stomach clenched, ashamed that I had lived yet terrified of disappearing. Chance had favoured us, but chance had denied so many others. We did not come in solitude, my mother told me. Inside us, from the beginning, we were entrusted with many lives. From the first morning to the last, we try to carry them until the end. In the year before the 1995 Referendum in Quebec, Eve wants nothing more than to move out of the bedroom community of Dorval and into the real city, Montreal, where she hopes to meet a girl who’ll want to kiss her back. As a queer coming-of-age story, I’m not the target audience for this book. However, there are many things about it that I found irresistible. Zoe Whittall was able to put me convincingly in 1995 Montreal. References to the events and pop-culture of the time were seamlessly incorporated into her story; the Quebec Referendum, AIDS treatment, the 1989 Montreal Massacre, the Spice Girls, Alanis Morrisette, Degrassi Junior High, Walkmans. It seems no one in the west end is worried about bombs, only the impending fear that if Quebec separates we’ll be forced to move to Cornwall or Kingston. The votes are in. No is confirmed – barely. I finally feel something: relief. This strange and solemn sense of calm that nothing will change. Everywhere I go Alanis Morisette asks me if it’s ironic. I am trying to think about jealousy as an emotion the brain still has kicking around because our software is outdated. It once served some useful function, allowing us to survive and procreate, but now it causes drinks-in-the-face drama and tear-stained hangover breakfast heartbreak. Do you ever sit still, in an historic world moment, and think about the size of your hands? The mismatch in your sweater sleeve? What you want for dinner? There is something wrong with me. This book is well written and full of great one-liners. You can tell Whittall is destined for great things. … her pessimism and anxiety had been like a cheese-grater across our hopeful faces. Intellectually, non-monogamy made complete sense; emotionally, it felt like sandpaper across my eyelids. I feel soft and furious. When I think about how to explain love, I think of a cat I had growing up. Her name was Whitey. I named her. I know, I wasn’t a particularly imaginative child. She was full-grown when I was five and died on my eighteenth birthday. She used to catch mice in the backyard and eat them, but she would extract the heart with a precision of a dedicated surgeon. She’d leave the hollow muscular organ on my pillow licked clean, or on the flat toe of my black rubber rain boots by the porch door. She would meow in a particularly high pitch, urgently, to alert my attention to the gift. Now that’s devotion. Great post, Naomi. I’m sold on the Thien after you mention of Kim Echlin and Kim Thuy, both favourites., and I love those Zoe Whittall quotes. I think you would like this one, Susan. And, for anyone who might be put off by the length of Do Not Say We Have Nothing, Dogs at the Perimeter is an excellent alternative! Having recently picked up a book I was looking forward to only to find that it’s over 1,000 pages of small print, I’m grateful for your advice! You continue to be so good for my relationship with CanLit! I love to hear you say that! Yeah I’m looking forward to reading it. I think it’s one that will really stick with me. 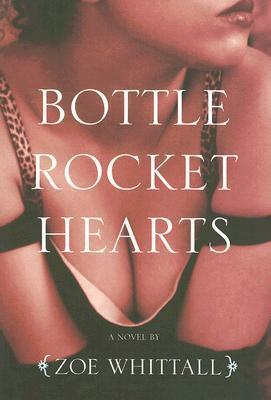 Bottle Rocket Hearts is lovely, isn’t it? I used to work at Cormorant Books so it’s close to my heart 🙂 And I just finished reading The Best Kind of People and LOVED it. You are on a roll with your reading. This is the book that Thien says she thought was better. Perhaps it was more active and shorter? I will have to read Zoe Whittall — she seems the rage these days eh? Ha! 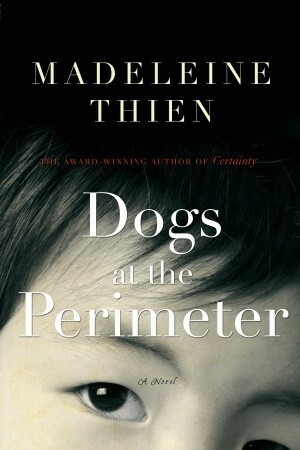 I just responded to your last comment, recommending this book to you (Dogs at the Perimeter). It is shorter, but still has the back and forth in time (I like that, but some readers don’t). Whittall: The attention on her right now is well-deserved, I think! That’s interesting: I thought I’d heard the opposite, that she wrote this newer book to complete what she felt had been left undone in DitP. In either case, I’m a fan, so I’ll read her long and short. Zoe Whittall’s too. So glad you found both of these worthwhile, Naomi, and I love that you had them as a pair in the background of your official Giller reading! That’s what I thought I had heard too, but I’m not sure where. It might have been at the Halifax Between the Pages – that she wasn’t happy with D at the P.
It’s a good book. And more than being about the family, it’s about the impact the cultural revolution has on the family over the years. You seem to like learning things in your books, and I definitely learned a lot from both of Thien’s books – so I think you would like it!